This monograph provides the first comprehensive analysis of industrial development in Ireland and its impact on Irish society between 1801-1922. 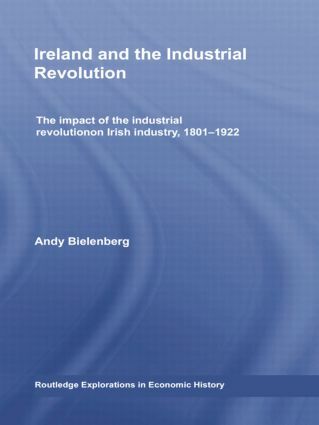 Studies of Irish industrial history to date have been regionally focused or industry specific. The book addresses this problem by bringing together the economic and social dimensions of Irish industrial history during the Union between Ireland and Great Britain. In this period, British economic and political influences on Ireland were all pervasive, particularly in the industrial sphere as a consequence of the British industrial revolution. By making the Irish industrial story more relevant to a wider national and international audience and by adopting a more multi-disciplinary approach which challenges many of the received wisdoms derived from narrow regional or single industry studies - this book will be of interest to economic historians across the globe as well as all those interested in Irish history more generally. Shipbuilding: An exception to the rule?